With warming temperatures in the Northern Hemisphere, the start of autumn in the Southern Hemisphere, and the in-between time for tourism all over the globe, April is one of the best months to plan a vacation. Below, we’ve listed 20 great underrated travel destinations just perfect for an April getaway. We searched for the hidden gems — that is, places where crowds are fewer, but where there is still something worth experiencing. Though they’re located off the coast of Western Africa, the Canary Islands are actually a territory of Spain. This string of seven stunning islands makes for the perfect getaway for those craving warmth after a long winter. But which island to choose? Head to Gran Canaria if you plan to party through the night and laze by the beach during the day. Fuerteventura is one of the best wind sports destinations in the world, while La Gomera has some of the best hiking. 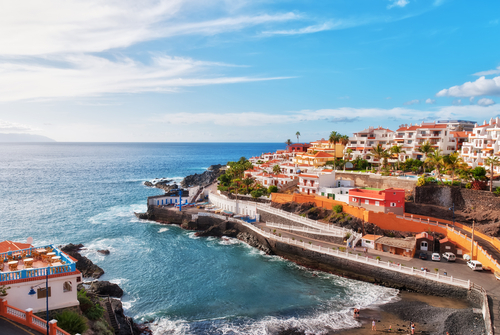 Finally, Tenerife is the island that seems to have it all: historic sightseeing spots, plenty of culinary destinations, and lots of beautiful beaches. 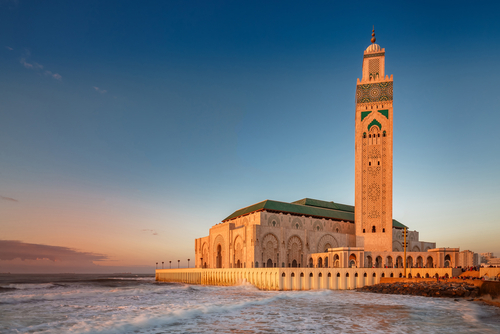 Marrakesh and Fez may be the bigger, more popular Moroccan destinations, but in April, Casablanca is the perfect getaway. The mid-sized city has a small-town feel to it, with a local culture that feels at once both European and North African. Spend your days — which are bound to be much cooler than during the summer — visiting the many historical sites such as the Hassan II Mosque with its grand colonial architecture. If it’s warm enough, set aside some time for The Corniche, a beachfront resort area with fancy hotels, beautiful beaches, world-class restaurants and shopping. Since it’s autumn in New Zealand in April, the fourth month is the ideal time to visit one of the world’s most beautiful countries. 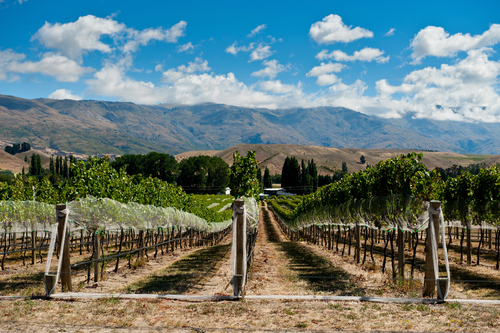 Though just about every single corner of New Zealand is worth exploring, we suggest focusing your April trip on the picturesque Central Otago region. A bicycle ride through the mountains makes for an excellent way to see the stunning views surrounding you. Down in the valley, the acres of vineyards are bursting with fall colors, which you can see close up on a wine region tour. The American South is full of wonderful places to visit, and April — before it gets stiflingly hot — is the perfect time to plan a trip. Charleston, South Carolina may just be the crown jewel of the South. 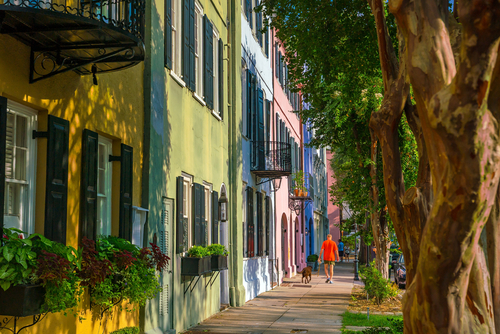 April is just warm enough for a day spent on one of Charleston’s beaches, or for a stroll through the historic downtown, with its charming old houses and tree-lined cobblestoned streets. Speaking of charming old houses, check the calendar before your visit. The annual Festival of Houses and Gardens usually takes place in late April. If you’re intent on a cultural experience and want to stay on a budget, then Copenhagen might just be the perfect destination. 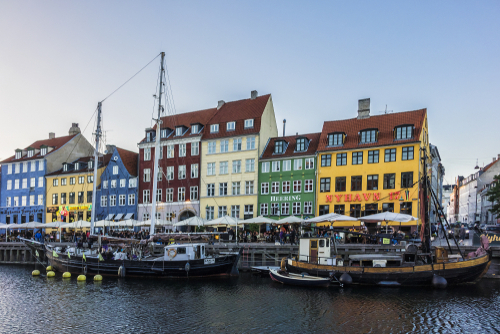 Flights to Copenhagen in April are some of the least expensive in all of Europe, partly because the Danish capital will likely not have reached the more comfortable temperatures that make it such a appealing place come summertime. Don a coat and wander along the river past some of Europe’s most charming architecture. You’ll want to find The Little Mermaid statue that immortalizes the classic written by Danish author Hans Christian Andersen. You’ll also want to well as tour Amelienborg, the Queen’s winter residents which has usually opened up for tours by April. This month also marks the re-opening of the charming Tivoli Gardens, arguably Copenhagen’s number one attraction and one of the oldest amusement parks in Europe. April is an excellent time to take a trip to Europe’s Mediterranean beaches. Things are starting to warm up but the hoards of people haven’t yet arrived. While most people head to places like Spain’s Costa del Sol or Sicily in Italy, we suggest heading a little further east to the tiny nation of Cyprus. 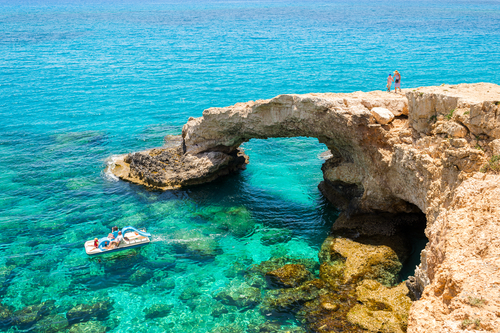 Cyprus’s beaches are world class, while its idyllic villages are practically postcard perfect. In Troodos, Cyprus’s mountain region, visitors can hike to waterfalls, photograph incredible views, and even go on a safari. And since Cyprus is so small, visitors can experience it all during even the shortest trip. 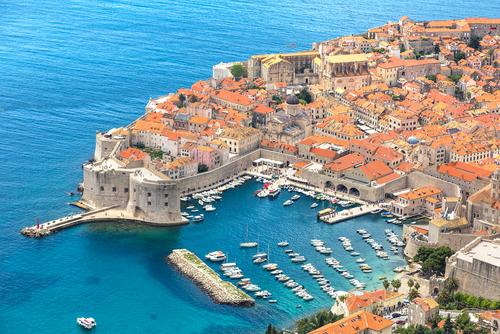 Thanks to a certain HBO mega hit, Croatia has become one of the hottest European destinations in recent years. In April, however, things are still on the quiet side. In Dubrovnik, in the country’s southernmost region, visitors can take part in Festiwine, an annual festival celebrating more than 100 local wineries. Towards the end of the month, the city also hosts a half-marathon during which runners can race through the winding streets of the walled medieval city. Even if you’re not into wine or running, this picturesque old port city is a blast to wander on any itinerary. 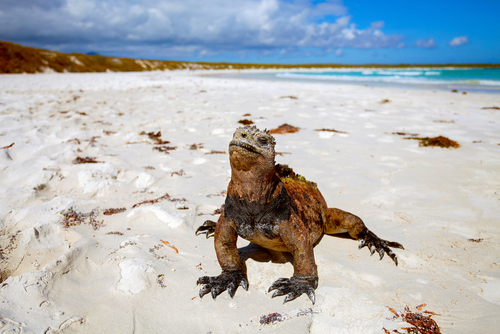 Though the nature haven that is the Galapagos Islands is worth a visit at any time of year, April visitors will have some incredibly unique wildlife experiences. Rent some snorkeling gear and dive in, as some of the best water visibility occurs in April. Back on land, keep your eyes out for birds like the albatross as they do their courtship dance and begin building their nests. A knowledgable guide can also show you the best places to get up close to the turtles and iguanas, both of which hatch their eggs in April. If you’re going to visit the Middle East, April is the time to go and Jordan is the place to see. This small country is one of the most popular destinations in the region, but thankfully, April has far cooler temps than much of the rest of the year. Join a trek through Wadi Rum, known also as the Valley of the Moon, and stand in awe over the stunning natural rock formations and desert flowers often in bloom during April. 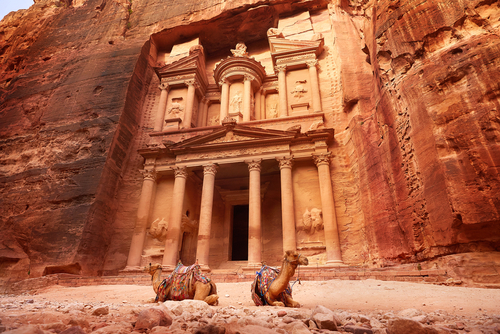 And of course, you cannot plan a trip to Jordan without visiting the ancient city of Petra. Summer, which ends in March in Madagascar, is the rainy season on this island nation located off the east coast of southern Africa. As the rains end, the forests grow even lusher and the wildlife sightings become even more common. This makes April an excellent time to visit this one-of-a-kind place. 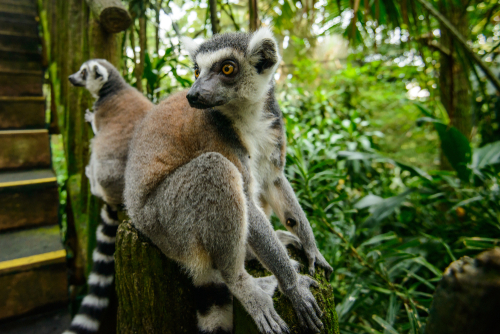 For your best chance at seeing lemurs, Madagascar’s most famous residents, book a tour with a knowledgeable guide. April brings to Madrid comfortable temperatures in the 60s and 70s, but doesn’t quite bring the massive crowds. This makes exploring this beautiful and welcoming capital city a breeze. 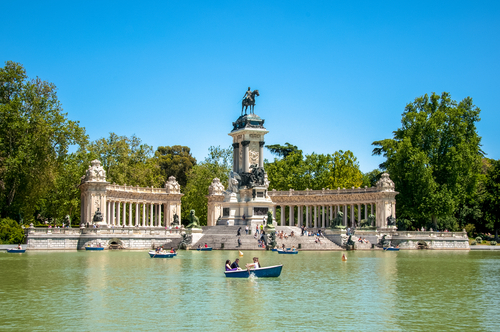 The Royal Palace, Retiro Park, and Mercado San Miguel are some of Madrid’s must-see sites. Take advantage of lower hotel rates and stay near the romantic Plaza Mayor. In and around it are top-notch bars and restaurants just perfect for an end-of-the-day drink and appetizer. 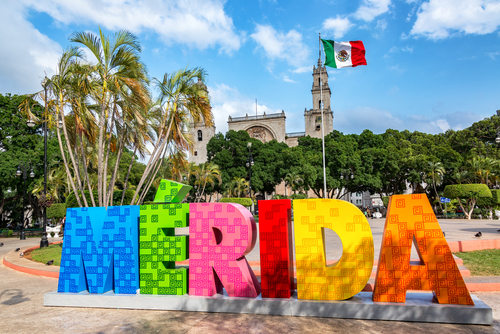 Check out Mérida if you’re craving Mexico, but don’t like the thought of Spring Break resort towns overrun with college-aged tourists. Charming Mérida is a beautiful town in the Yucatan with a rich colonial history and lots of colorful architecture. Book a room at one of the many spa resorts. Then spend your time exploring the town, enjoying the nightlife, or lazing by the resort pool. The beautiful and inviting country of Malaysia has something to offer visitors at any time of the year. Come April, head to the state of Penang. 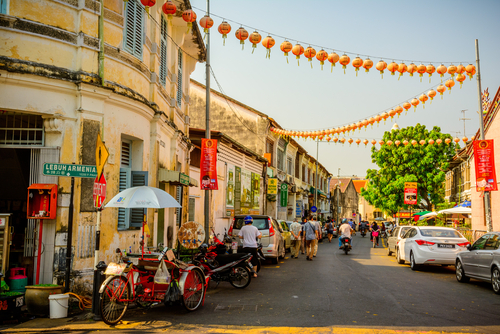 Besides myriad Buddhist temples, a wildlife-filled jungle, and welcoming towns in which modern street art complements even the most traditional of buildings, Penang is known for its food. Indeed, it’s one of the most famous destinations in the world for street foods. For the best array, head to Penang’s capital of George Town. Here, you can walk for miles through food courts, food stalls, and open-air restaurants. Don’t fill your stomach too quickly. While Chinese and Indian fares are popular, they can’t beat Malaysia’s traditional dishes with their unique flavor profiles. 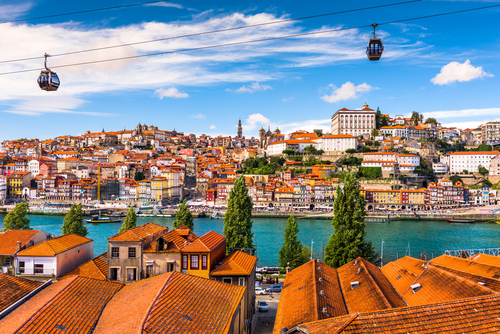 Porto is Portugal’s answer to Spain’s Costa del Sol and the South of France. This beautiful coastal city is ideal in April. The warm temperatures have returned but the busy tourism season hasn’t started. Spend your days wandering through the historic streets, or lazing on the golden beaches. Come evening, find a rooftop bar and while away the hours with drinks, appetizers, and what’s sure to be good company. 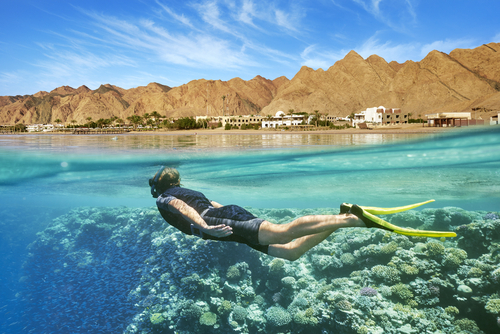 Political stability pending, Egypt’s resort towns along the Red Sea are stunning in April. Expect warm, yet comfortable temperatures, sunny days with little humidity, and the incredible turquoise of the Sea. Spend your time at one of the many waterfront resorts. Or you can add on an easy trip to some of Egypt’s more famous sites, such as Cairo and the royal tombs at Luxor. Rome is one of the busiest European cities in the summer. But you can beat the crowds and save some money by traveling to the Italian capital in April. Airfare is certainly cheaper in April than it is just a month later. Hotels often offer excellent deals for travelers visiting in the off season. 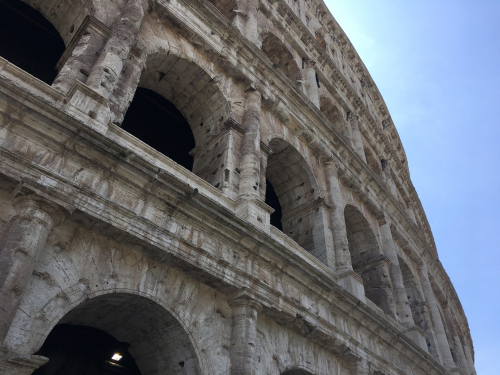 Best of all, the Vatican, Pantheon, and Colosseum, places that are usually bursting at the seams with people, are noticeably less crowded. If you like European gardens, definitely make room in your itinerary for a visit to the Roseta Rose Garden. It’s a stunning display of horticulture that usually closes by the end of May. The U.S. Virgin Islands may be one of the most popular destinations for Americans — after all, U.S. citizens don’t need a passport to visit — but if there’s an ideal time to visit, it’s April. By April, the busy season has essentially ended, though all of the hotels and restaurants remain open and discounted. Airfare is usually cheaper in April, too. Spend some time lazing on the white sand beaches, mojito in hand, then take a tour of the island’s many interesting historic sites. 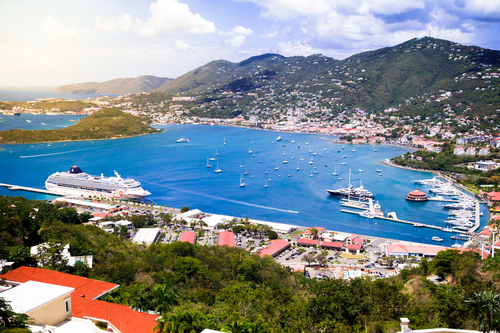 If you can, plan your trip to coincide with St. Thomas’s Carnival to enjoy the elaborate party scenes, local food festivals, colorful parades, and other events. 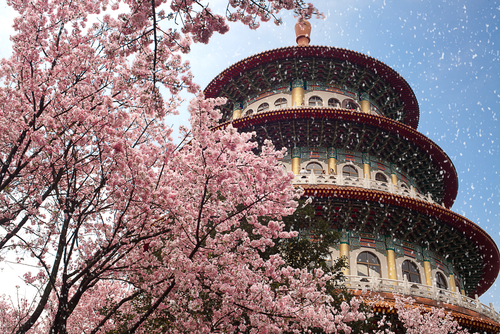 If seeing the cherry blossom trees this April is your goal, consider a spring trip to Taiwan. Walk among thousands upon thousands of pink blooms at the Yangmingshan National Park, then relax in the hot springs in Beitou. Other must-see sites on this island known for its natural beauty include the beach-front Kenting National Park, Taroko National Park, and the exciting capital city of Taipei. 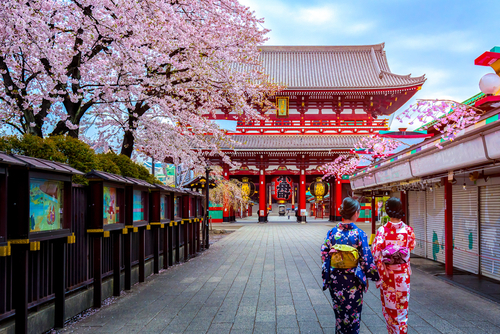 Is April the best time of year to visit Tokyo? Quite possibly. As the city’s famous cherry blossom trees bloom, locals hold fancy viewing parties and festivals to celebrate. If you’re in Tokyo in late April, expect to see the city decorated with elaborate fish-shaped windsocks signaling the upcoming Children’s Day holiday. And of course, like at any time of year, there’s plenty of local culture and nightlife to enjoy. 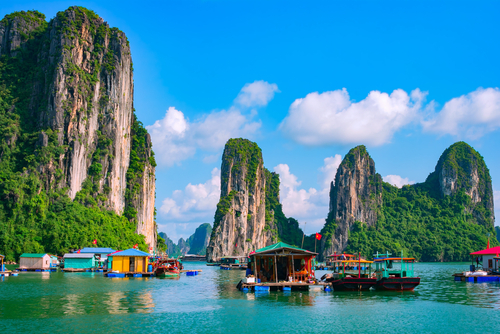 One of April’s best and most affordable beach destinations is southern Vietnam. March marks the end of the busiest travel season so you know you won’t be fighting for a spot on that pristine white sand beach. The temperatures in April are no longer unbearably hot and humid so you can explore temples and towns without breaking too much of a sweat.